Are you experiencing a damaged or broken tooth? 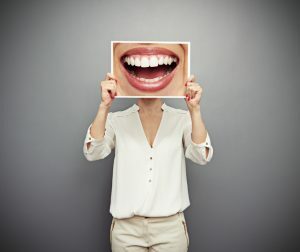 You may need to consider visiting our Smile by Design office and looking into dental crowns in Virginia Beach, VA. Our office offers CEREC, a new technology that stands for Chairside Economical Restoration of Esthetic Ceramic. This gives our team the ability to create same-day dental crowns, accommodating busy schedules and providing a solution to various oral health issues. What Does CEREC Technology Do? What will I Gain from Same-Day Dental Crowns? Not only will you avoid the inconveniences that normally come with longer, drawn out traditional porcelain crowns such as temporary restorations or unpleasant physical impressions, but you will have fixed your problem area with the help of the Smile by Design team by the end of the day! Some other positive points to highlight about CEREC technology are that these porcelain crowns replace the outer layer of your tooth, strengthening your tooth structure and improving your tooth’s stability for overall better oral health. They can also assist with jaw and bite alignment, as well as improving your ability to chew and speak. You’ll also improve your smile’s beauty, which leads to a newly restored confidence. How Can I Make My One-Day Appointment? Feel free to contact us during business hours to schedule your appointment to not only meet one of our fantastic dentists, but to truly see if CEREC in Virginia Beach, VA is right for you. You can always stop by as well! Smile by Design is conveniently located at 281 Independence Boulevard, Suite 210, in the Pembroke 1 Building, right across the street from Pembroke Mall and in the heart of Virginia Beach Town Center. We look forward to meeting you and solving any oral health concerns you may have!